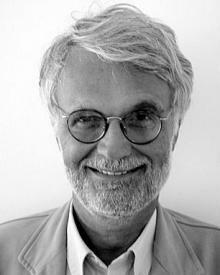 Ezio Manzini began his career at the Politecnico di Milano where he studied and later went on to teach. During his time at the college, Manzini worked on several international research projects including co-ordinating the Unit of Research DIS – Design and Innovation for Sustainability, the Doctorate in Design and, later, DES: (Design dei Servizi) the Centre for Service Design in the Indaco (Industrial Design, Arts, Communication Department). Best known for his work in the field of design for sustainability, Manzini specifically focused on social innovation, considered as a major driver of sustainable changes, and on what design can do to support it. A testament to his innovative work is DESIS, an international network of schools of design and other design-related organisations specifically active in the field of design for social innovation and sustainability, which he founded and coordinated. In addition to his continuous involvement in the design for sustainability arena, Manzini has explored and promoted design in different fields, including, Design of Materials in the 1980s; Strategic Design in the 1990s (creating a Masters Degree Course in Strategic Design in the Politecnico in Milan); and since 2000 starting specific courses in Service Design in the same institution. In light of his great achievements, Manzini has received honorary titles in several countries including Honorary Doctor of Fine Arts at The New School of New York and at Goldsmiths College, University of London; Honorary Professor at the Glasgow School of Art; Fellow at the Australian Centre for Science, Innovation and Society at the University of Melbourne. Parallel to this, Manzini has also been director and vice-president of Domus Academy, Italy (in the 1990's) and Chair Professor of Design under the Distinguished Scholars Scheme at the Hong Kong Polytechnic University (in 2000). He remains a Visiting Professor at the Politecnico di Milano, Honorary Guest Professor at the Tongji University, in Shanghai, at the Jiangnan University, in Wuxi, China, and at the UFRJ, (Rio de Janeiro Federal University) in Brazil and Distinguished Visiting Professor, at Parsons, the New School for Design, in New York. A prolific design researcher, writer, and educator, Manzini has received a number of prizes from prestigious design Italian institutions including two Compasso d’Oro Design Prizes, given by ADI-Associazione per il Design Industriale, and the Premio per l’innovazione (Prize for Innovation), given by the Ministero dell'Innovazione Italiano (the Italian Innovation Ministry).